Whether you’re looking to train your pet or just amuse them, there are all sorts of apps available for pet lovers to help them get closer to their furry friends. Our list of the top 10 apps for pet lovers offers a diverse range of tools and games that you can download to your phone or tablet now. Cat Fishing 2 is a great mobile game that’s actually built for your cat. Place your mobile near your cat as the game starts and watch her having fun as she tries to catch the fish on the screen to score points and move up in levels. This app is full of detailed articles, videos and illustrations to help you care for your pet through illness or emergency. 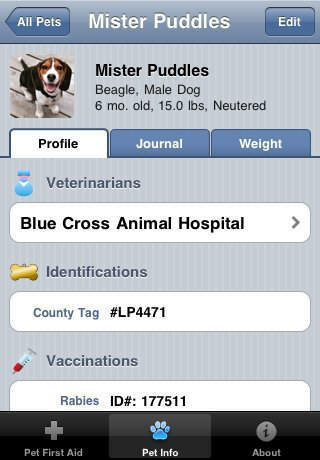 You can use the app to work out what’s wrong with your pet before you take them to the vets or find step by step guides for helping your pet in an emergency situation. 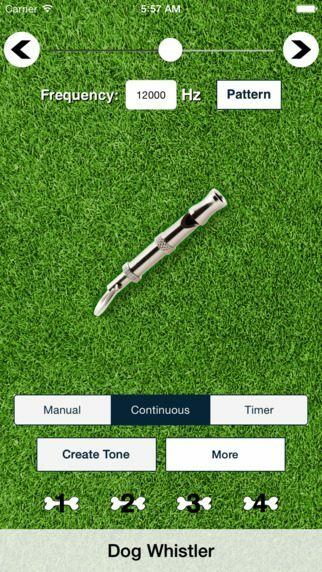 The Dog Whistler is a great app for pet lovers that enables you to play whistles at different frequencies. The whistle can be helpful for dog training and you’re able to set different tone patterns for different training exercises. 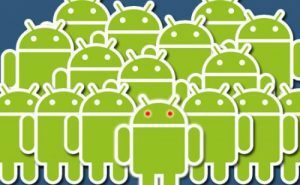 The app also has a motion detection alarm system which is great for alerting you that your dog is misbehaving. PetSnap is one of the best apps for pet lovers which enables you to take brilliant photos of your pets every time. 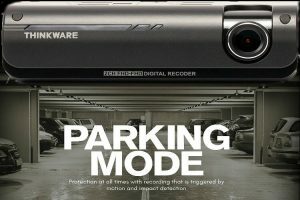 It includes 32 different sounds to get your pets attention so that they’re looking at your phone, along with 7 different frames, 6 review windows plus zoom function and image size options. 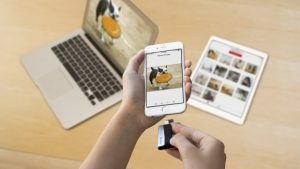 The iClicker is a helpful pet app for dog lovers as it includes an animated clicker with volume control that can help you to train your dog for obedience and to do tricks. 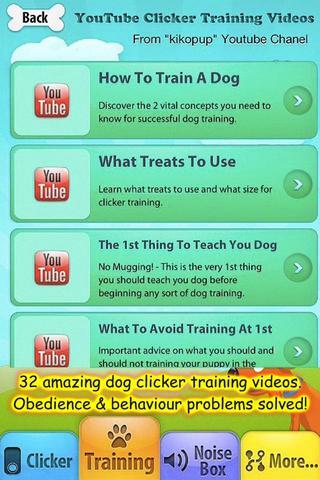 There’s also 9 clicker training tutorials and 32 in depth clicker training videos. 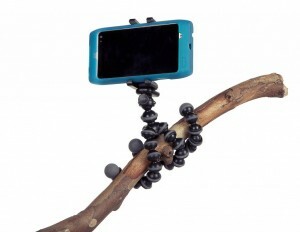 In addition the ‘noise box’ has 48 sounds that you can use to offer distraction or desensitisation during dog training. 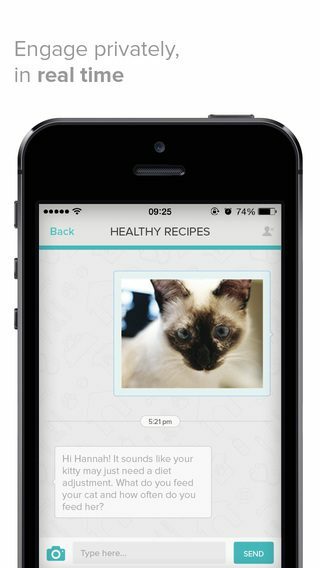 PetCoach enables you to get free access to trained pet care professionals so that you can get answers about your pet’s behaviours, diet or health. 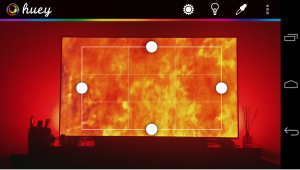 You can use the forums to ask questions and upload photos, then receive answers and mark your favourite experts so that you can easily ask them a question next time. If you’re a new owner and are struggling with names for your pet then Pet Names + will come to the rescue. 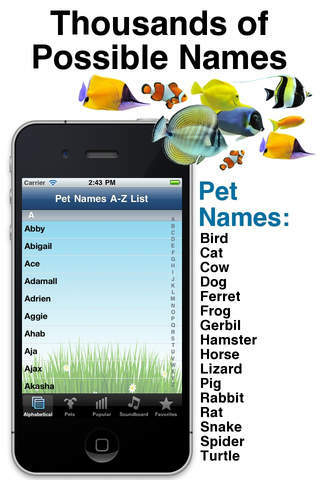 This is a brilliant pet owner’s app as there’s lists of nearly 3,000 possible names organised alphabetically and for animals from cows to turtles and everything in between. 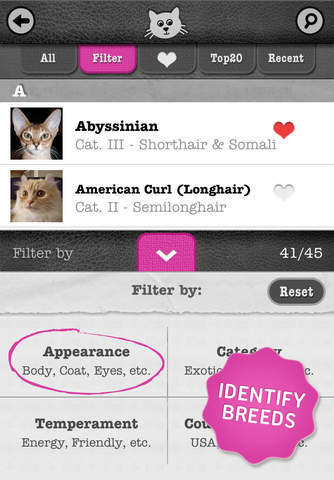 Cats HD is an awesome app for cat owners that acts as both a breed identification guide and a quiz game too that allows you to guess breeds. This app contains information and photos for 300 different cat and kitten breeds which allows you to find breeds based on appearance, country of origin and characteristics. A wonderful app for dog owners, MapMyDogWalk helps you plan your walks then records information about your walk too. 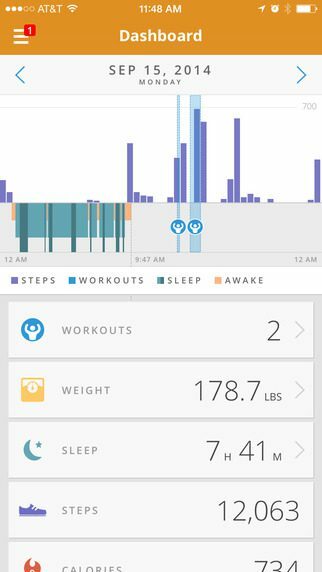 The app takes record of the walk length, route, distance, speed, calories and pace using your mobile then plots the walk on a map so you can keep track of your activities. This fun dog app is a dog-to-English translator that aims to let you know what your dog is trying to tell you. Just record your dog’s barks through the app then let Dog Translator perform bark analysis. While it’s unlikely that the app will tell you exactly what your dog means each time, it’s a fun way to interact with your pet and amuse your friends.